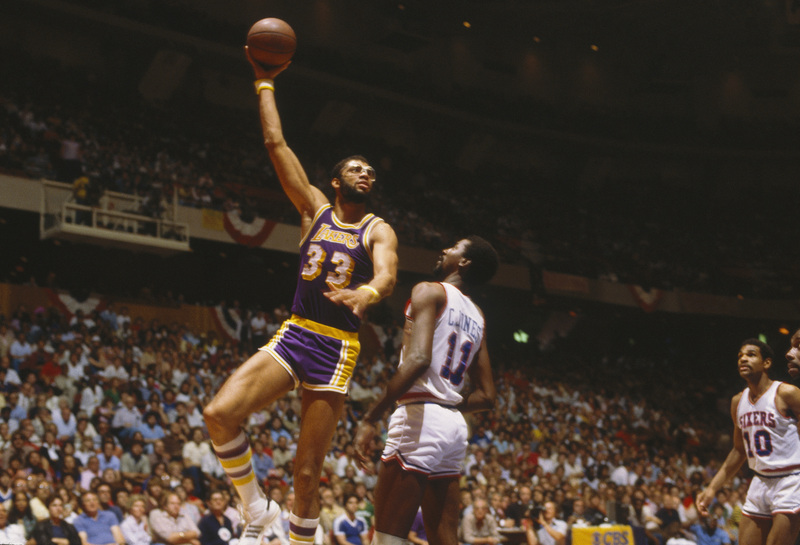 The skyhook: Starting with precise footwork, rising through a leg lift, torso twist and arm extension into the stratosphere, Kareem Abdul-Jabbar’s signature move remains basketball ballet — and the most unstoppable shot the game has ever seen. Now we get to see Abdul-Jabbar translate his refined athleticism to the dance floor. On April 30, the six-time NBA champion and top scorer in league history begins competition on the live season premiere of Dancing with the Stars: Athletes. Partnered with Lindsay Arnold, last season’s winner, Abdul-Jabbar will compete against the likes of Notre Dame hoops heroine Arike Ogunbowale and the NFL’s Josh Norman to see who can fox trot, cha-cha and quickstep their way to a different kind of title. Abdul-Jabbar is one of the more intriguing contestants on a show where athletes have won 10 of 25 seasons. At 7 feet, 2 inches, he’s almost 2 feet taller than the 5-foot-4 Arnold. He’s also 71 years old, the author of 14 books and an activist for racial justice with a well-earned reputation as a serious thinker. In a contest that rewards glam and flash, what attracted a straight-laced scholar? Abdul-Jabbar, who spoke with The Undefeated by phone, says he signed up simply to have fun. The conversation below has been edited for length and clarity. Kareem, what about this experience looks fun to you? Well, just the challenge of dancing with a professional dancer. You have to know what you’re doing, and you really have to have it nailed down. It’s not just something you go out and do. You have to plan and you have to learn the whole get-up. You need a much better and precise idea of your spatial awareness and movement and everything. It takes a lot of planning and practice. It’s a humbling thing, but it’s made me appreciate what dancers do even more. What’s been the most humbling aspect? Just how hard it is to remember a sequence of moves, and you have to pull it off to make it look spontaneous. Kareem Abdul-Jabbar of the Los Angeles Lakers shoots a skyhook over a 76ers player during the 1982 NBA finals at the Spectrum in Philadelphia. Is there any comparison between remembering dance sequences and learning basketball plays? No, it’s entirely different because dancing is down to every precise step. You don’t have to go to an area and do something. At every moment, you have to take steps in coordination with your partner and do something exact and coordinate it with her. Lindsay, what’s the biggest challenge to dancing with someone so much taller than you? Right now, it’s more just about making sure that Kareem feels confident and comfortable doing the steps because this is something totally different, totally out of his element. So right now, the height difference is kind of the last thing we are thinking about. We are just trying to get those steps down so that Kareem feels good about it and hope that people enjoy watching us. Kareem, you’re known as a thoughtful, serious person. Where has this fun, carefree side been all these years? It’s been here, it’s just that there is a time and place for everything. But I’m not one-dimensional. My family knows me like this, that I have a playful side and I’m interested in having a good time and enjoying life. My dad danced in the 1930s; he did the Lindy Hop. He danced with Savoy [Ballroom] dancers. He knew those guys and danced with them and knew those moves. So dance is a big deal in my family, and I hope if I do well enough my dad will be looking down and smiling about it. How does preparing for this competition compare with the physical aspect of preparing for basketball? Well, you know, we don’t have to do a whole lot of running. We do 4 to 6 miles in a basketball game. So it doesn’t wear you down like that physically — well, not yet. But the mental part of it, you have to coordinate and make your body execute. Some dances, the guys that do ballet that have to leap and stuff and carry the ballerinas, those guys you’ll have a lot of respect for them if you try to do some of the stuff that they do. How is your body doing at age 71? Are you still in shape? Well, I can’t go out there and play in the NBA, but I feel like I’m in good enough shape to execute these dances. It’s not like I have to get ready to run. This is fun, and it’s not going to wear me down. I think that Lindsay is the perfect person to get me ready. Lindsay, I can’t resist: Can you choreograph a skyhook into any of these routines? I mean, I’m not going to say anything. But tune in on that first episode and you might just get what you are asking for. We’ll see. Because the skyhook is probably the most graceful, balletic move that we’ve seen in basketball. It’s so beautiful. I feel like we would be crazy not to do it in our dancing. Kareem, how nervous are you about dancing in front of millions of people? I’m not nervous. I had to go out there and play a very tough game in front of millions of people. The toughest thing for me was running into people that had bet against the Lakers. There was still that resentment there, you know? I get it. You touched on this earlier, Kareem: Could you elaborate a little bit on what elements of teamwork translate from basketball into this dancing performance? Easy. You have to understand your teammate. You have to know her moves and how to be ready, and you have to do everything you can to make her look good and she will reciprocate. That’s how it works. We talked about the history of all of this, you know. Fred Astaire and Ginger Rogers come to mind. That’s classic Americana. Lindsay, what are you hoping to accomplish with Kareem this season? First of all, it’s very cool that Kareem is doing this show. I mean, he is 71 years old. He’s a legend with his own skills, and he’s taking a risk coming out and doing this show. He’s taking on the challenge. It’s very rewarding to know that I get to take Kareem through this journey and really show America a new side of him because he is so much fun. We have so much fun in rehearsals that I can tell that he has so much passion for life, and I’m excited for America to see that. Kareem, when this journey is over, what do you hope people know about you? Well, that I like to have fun. That I can dance and still enjoy life, even at 71.